Today is the day to let go of those heavy bags you have been carrying around with you for far to long. They have helped you through many journey's, have protected your heart in troubling moments, and have guided you to here. To this moment. However, those bags no longer serve you, and are ready to be released. Free yourself of them. 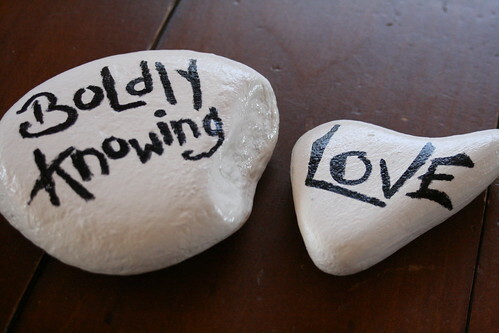 Today is the day to step Boldly into Knowing Love. To open your heart and soul to the possibility that anything can happen. Freely allow moments to wash in and out, like the oceans tide. Savor the precious giddyness of happiness. Let those moments be your guide to cultivating more love, light, and laughter. You are stronger and braver than you even realize. Boldly step into Love. Begin today. Believe in your stength. Believe in who you are. Know that you are so incredibly lovable.